Ready to stop loosing the battle against school lunches? Get the tips, tricks, and loads of ideas in this easy to follow guide for busy moms that are just to tired to cook. 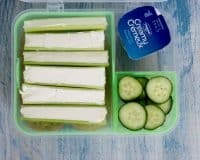 Are you tired and just wish that you could get a real lunch made for your kids lunchbox that they will actually eat? 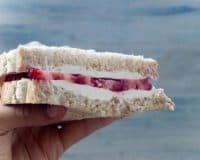 Are you sick of the lunches coming back uneaten? Beyond sick of constantly searching for recipes and ideas online that you know you’ll never be able to make? Take lunches back! 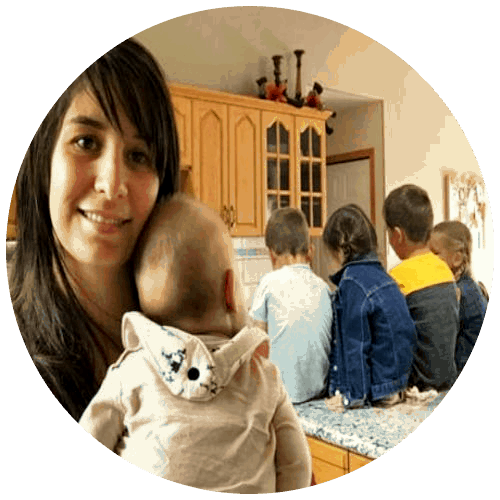 Get the tips, tricks, and loads of ideas in this easy to follow guide for busy moms and take back the control of a real, but easy school that your kids will eat! 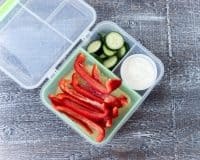 Making a healthy school lunch does not mean you have to spend hours on pre-prep! 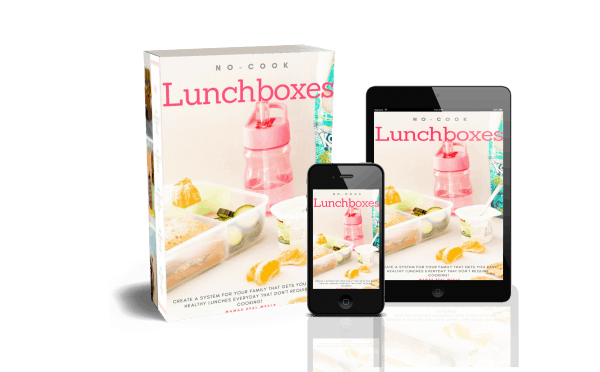 You will be able to make lunches quickly and a lunch that they actually will love! I know exactly what you mean. It would be 930 PM and lunches still weren’t made, the baby was crying, and the laundry wasn’t in the dryer yet either. Those lunches had to be made, but for crying out loud, I was beat! I was so frustrated and I knew there had to be a better a way. A way I could systemize the entrie process and make it EASY. So that’s what I did. And now you get it too! You’ve told yourself sooo many times you were going to get your crap together. Your going to figure out a way that will give your kids better food. Not just sometimes but something sustainable. And it failed. It took a week and then you fell of the wagon. The kids got sick, you got tired, and dang, it’s just so much easier to do it the cheat way. Just wanting to make the change is half the battle. 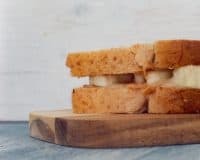 And I’m here to help you conquer the second half of that battle with this Super Simple Guide to Real Lunch for Tired Moms! Ellie was sick of the same lunches after only a couple days! I was glad when I finally got the book so that I could make her something without having to spend much time making it or finding new ideas since I had it all at my fingertips! Learn a system that works. Not a one size fits all, but the one that works for your family. There’s even a 4 week meal plan!! A handbook that you only have to fill out once and be set for the rest of the school year! Hi I’m Jacqueline, I have 5 kids. My oldest is 6. So I get it. I know mama. I know. I don’t have the energy to make 5 different recipes for lunch. I don’t have the time to search for inspiration. I also am a serious lover of coffee, books and bubble baths! So welcome to my little corner of the online world. Stick around Mama, because I get what its like to be tired, and how you just don’t feel like cooking. AGAIN. Imagine being able to throw lunch together within minutes for each child every night. Imagine not being stuck in a lunch rut for the third time that week. Imagine not having to stress out about lunches because you know you have a system in place? Imagine giving them real food but still saving a ton of money? If you want to get away from the processed and into the real, the Mama’s Real Guide to School Lunches will create that system you crave! Something sustainable. Something doable. Something that every moms needs.